The flex door is a very versatile glass opening door system. It is yet another innovative design our company offers, specially designed to fit in small spaces with specific needs. The door revolves while at the same time the pivot is displaced, ending up taking a specific percentage of space (which we can choose) in both adjacent rooms. The flex door system is ideal for small, limited spaces, such as bathrooms or WCs. Because of the flexibility of their design, they facilitate the architectural design of spaces, offering an exceptional solution to setting up a space at home, hotel, gym, and wherever else there is a need for a smart, glazed entrance. 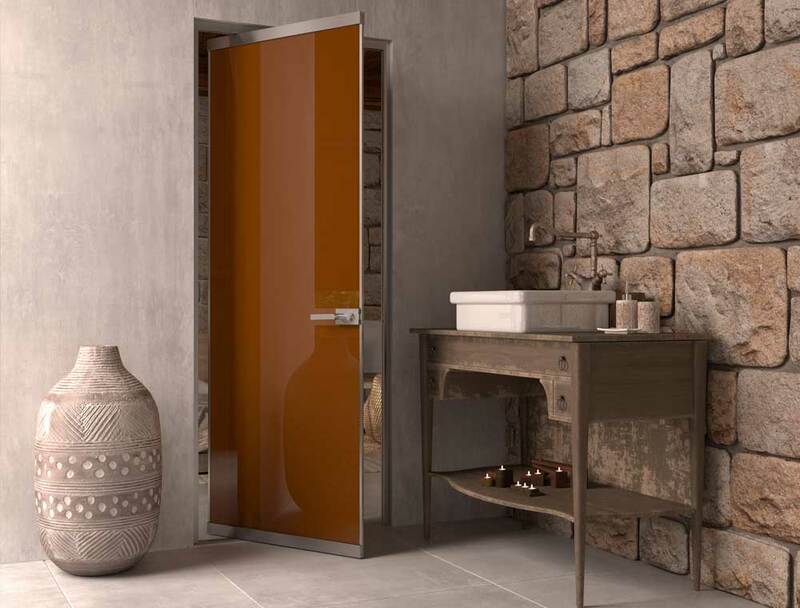 Design flexibility The flex glass door offers a lot of flexibility to freely design spaces without limitations.